Classes last 90 minutes and are lead by top of the line black belt instructors. No contracts are required to train. * Monthly dues do not include testing fees or the annual federation fee. Greg Sinclair has always been a passionate student of the martial arts. As a youth he began martial arts under the study of several different striking arts. It was not until 1992 that he settled into Aikido under Lou Perriello Sensei in Chelmsford Massachusetts. Over the years he trained under Kathy Fitzgibbon Sensei and was awarded Shodan under John Dore Sensei. In 2009 Sinclair Sensei became a direct, private student of Steven Seagal Shihan, who had a tremendous impact on Sinclair Sensei's Aikido. Over the next few years Seagal Shihan reshaped Sinclair Sensei's technique, approach and understanding of Aikido and the martial arts. 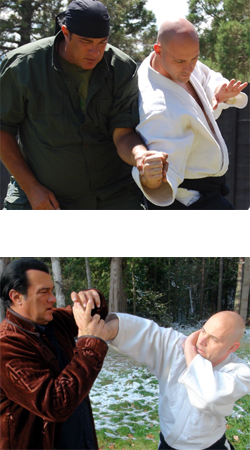 While never aspiring to be an instructor in Aikido, after just their first training session, Seagal Shihan assigned Sinclair the role of Sensei. Those years set the path for Sinclair Sensei and Bushikan Aikido. Although no longer a student under Seagal Shihan, Sinclair Sensei still bases his Aikido on what he learned under the tutelage of this Master. In 2015 The Independent Martial Arts Association - International promoted Sinclair Sensei to Rokudan (6th degree black belt), made him the Ambassador to the U.S. and granted him the title of Shihan. 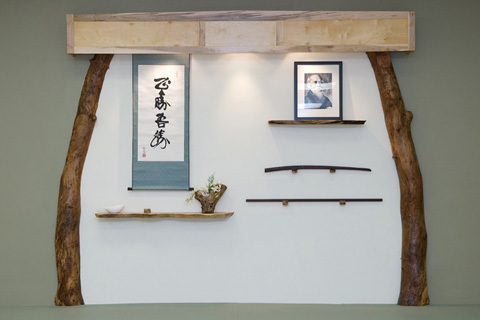 He currently leads the development of Aikido in the United States and teaches all over the world. It has been said that knowing Bushikan Aikido is like knowing a secret that no one else knows. 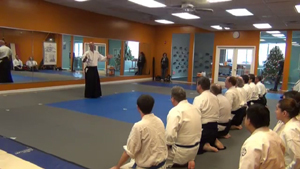 While this may be true, Sinclair Sensei loves to teach and share this Aikido. He has a unique gift that allows him to break down the art and teach it to students, teachers and other martial artists in an easy to understand process. Join Bushikan Aikido as an affiliate or a club! Contact Sinclair Sensei for more information. Get in on the secret and start getting the most out of your Aikido! For a full list of affiliates or to find out more information on how to become a Bushikan Aikido affiliate, visit the Bushikan Aikido Kai website. Bushikan Aikido Kai is the umbrella organization used to organize the affiliates of Bushikan Aikido and the center of the Distance Learning program.